Off Islamorada, FL, August 2002. 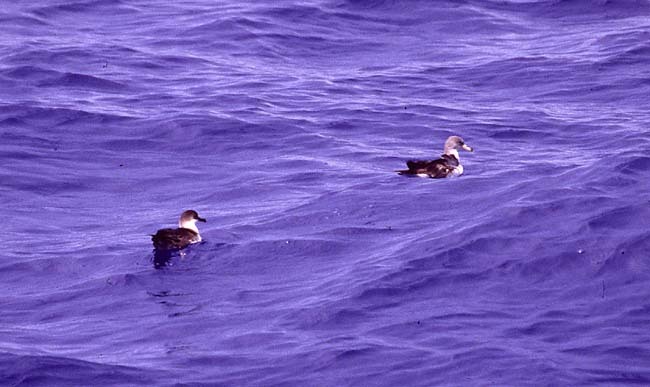 The Greater Shearwater (Puffinus gravis) is on the left. Notice its overall darker coloration, especially on the head, the obvious white neck, and its dark bill. The Cory's (Calonectris diomedea) is on the right.